ABUJA—IKE Ekeweremadu, Deputy President of the Senate, says the country’s democracy is receding and it is not unlikely for the military to take over. Ekeweremadu said this on Wednesday, while contributing to a debate on a motion sponsored by Ahmed Ogembe, senator representing Kogi Central. Ekeweremadu also told the governor of Kogi State that “the road he is travelling will not lead him anywhere. “You will recall that sometime last year when they wanted to recall Dino, I advised the governor that they are wasting the resources of that state, that it is mission impossible,” Ekeweremadu said. “They took three pages in the newspaper abusing me. Are we still hearing the recall today? Money has been wasted. “If he doesn’t stop, there is no how he will come back in 2019, never, no he will not. God will show him that he is a God of justice and this is a message to all those people who have caused all kinds of problem in Nigeria at different levels. The problem in Nigeria is that our democracy is receding. Who says army cannot take over? Let us not joke with our democracy that is the issue. “The house of a senator was destroyed in Kaduna State. We also are talking about Kwankwaso, who was stopped from going to his state where he ruled for eight years. 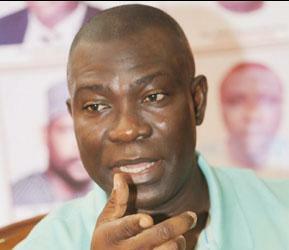 The post Era of military coup not over, Ekweremadu cautions appeared first on Vanguard News.